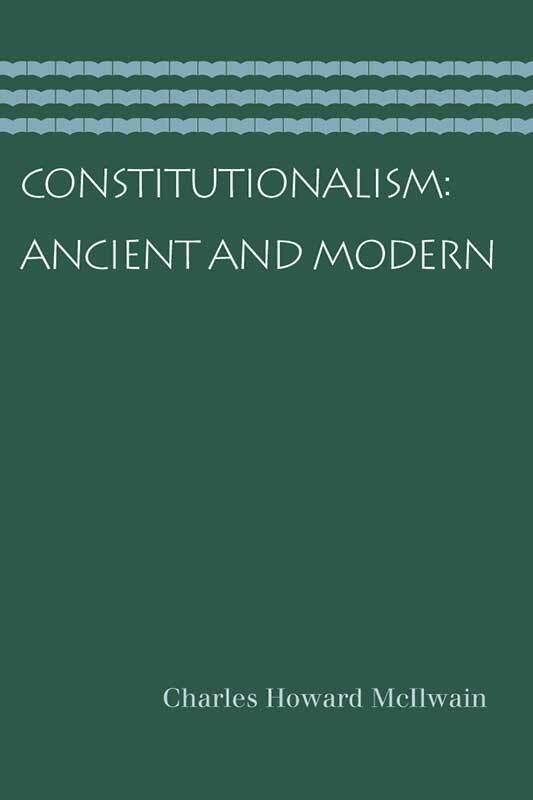 Constitutionalism: Ancient and Modern explores the very roots of liberty by examining the development of modern constitutionalism from its ancient and medieval origins. Derived from a series of lectures delivered by Charles Howard McIlwain at Cornell University in the 1938–39 academic year, these lectures provide a useful introduction to the development of modern constitutional forms. Charles Howard McIlwain won the Pulitzer Prize in 1924 for his constitutional analysis of the American Revolution.